This great poster by the Surfrider Foundation and Rise Above Plastics is designed to raise awareness about ocean pollution. 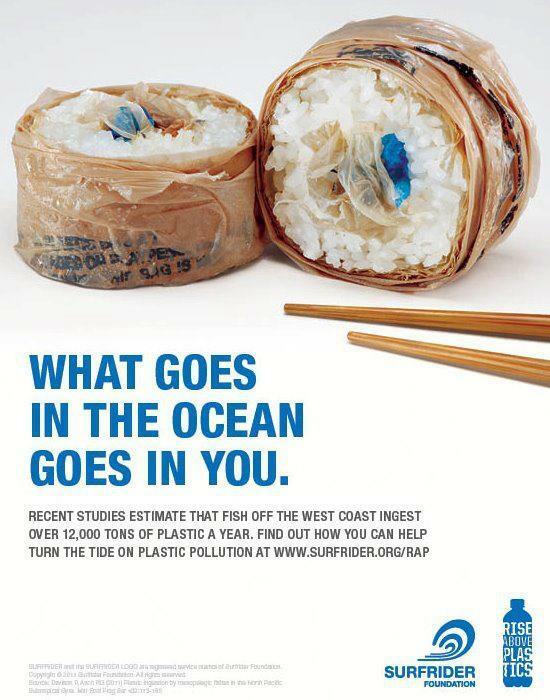 The advertiser has created sushi rolls out of the sort of rubbish that one might find in the sea. A brilliant, simple idea, with lovely clean art direction and a punchy piece of copy.